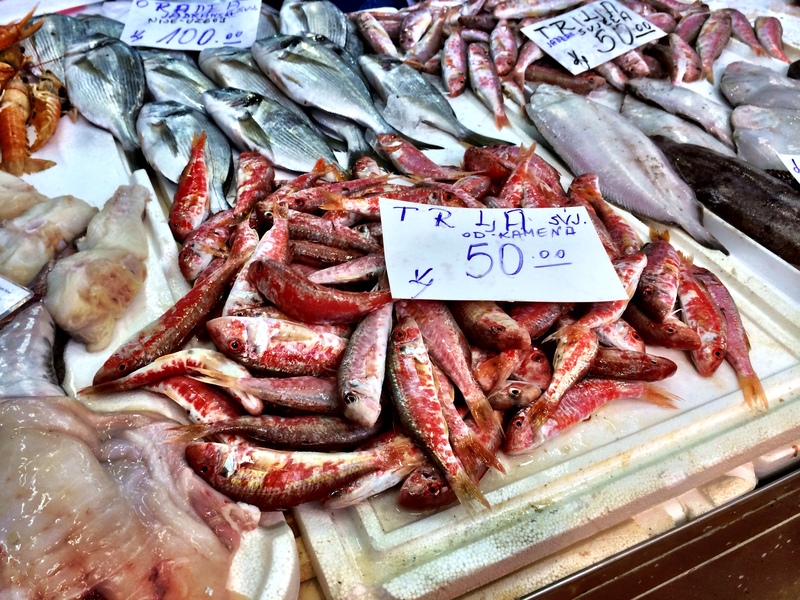 Food markets are at the top of my list (literally) when I visit a new town or city. Most fall on a Saturday and it’s crushing when my trip is mid-week and I miss out. First world problem I know. I’ve been to dozens of fantastic food markets recently, each so marvellous that they deserve their own post. This is the start of a series which will see me cover food markets from London to Stockholm, Mallorca to Sydney. 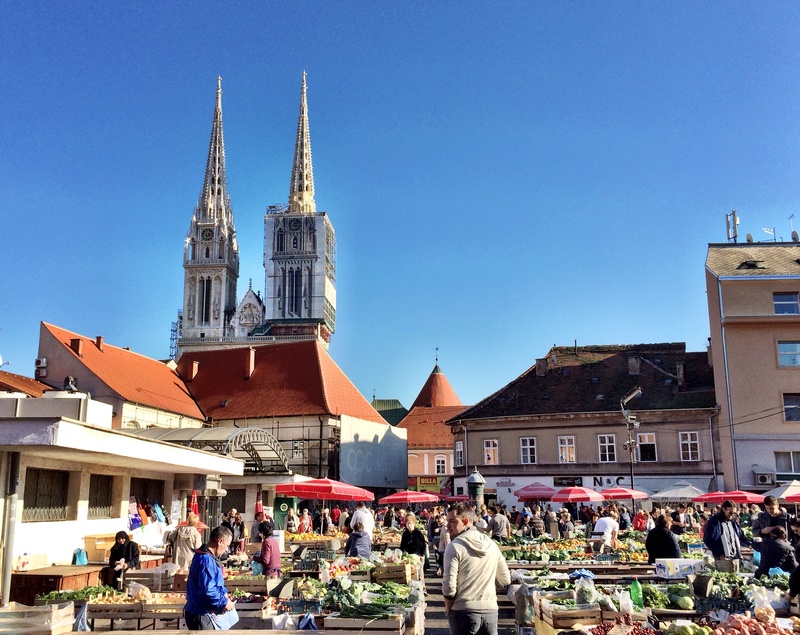 I’m kicking off with Zagreb because it may not seem like an obvious choice. The stunning Croatian coastline seems to steal the lion’s share of attention and I know few people who detour inland to see the capital. It took three trips to Croatia before I finally made it to the continental part of the country and I’m pleased I did. 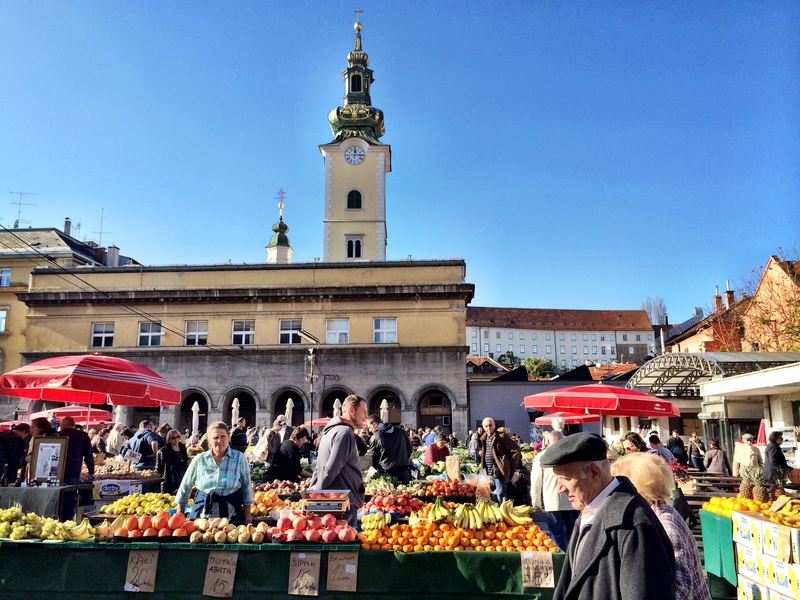 All the action is around Zagreb’s main square, Ban Jelačić, and this includes Dolac, the city’s biggest food market. The bright red umbrellas are a stunning contrast against the azure sky and the whole area is one big mass of colour, excitement, endless chatter and negotiations. And that was around lunchtime; my local sources tell me it’s really mental first thing in the morning. 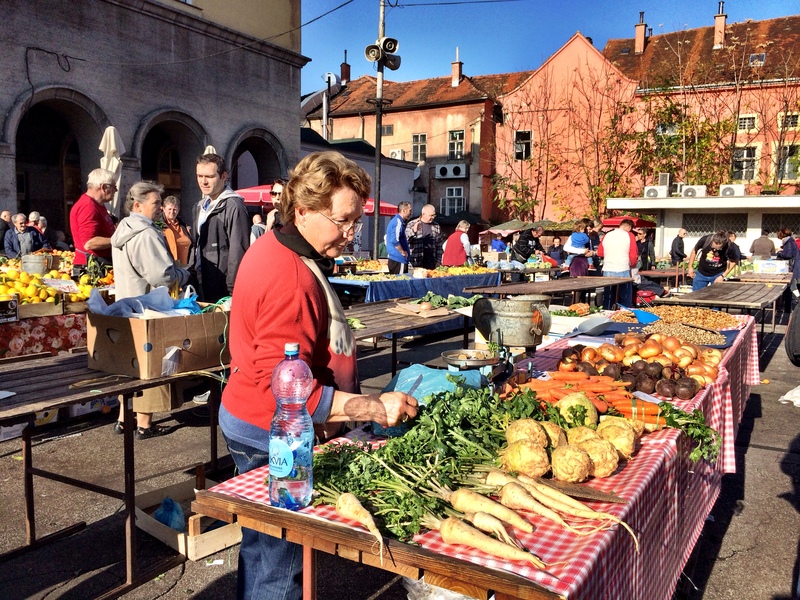 The Dolac open air markets have been running since 1930 and are the city’s most significant, perhaps because of their choice location beneath Zagreb Cathedral. 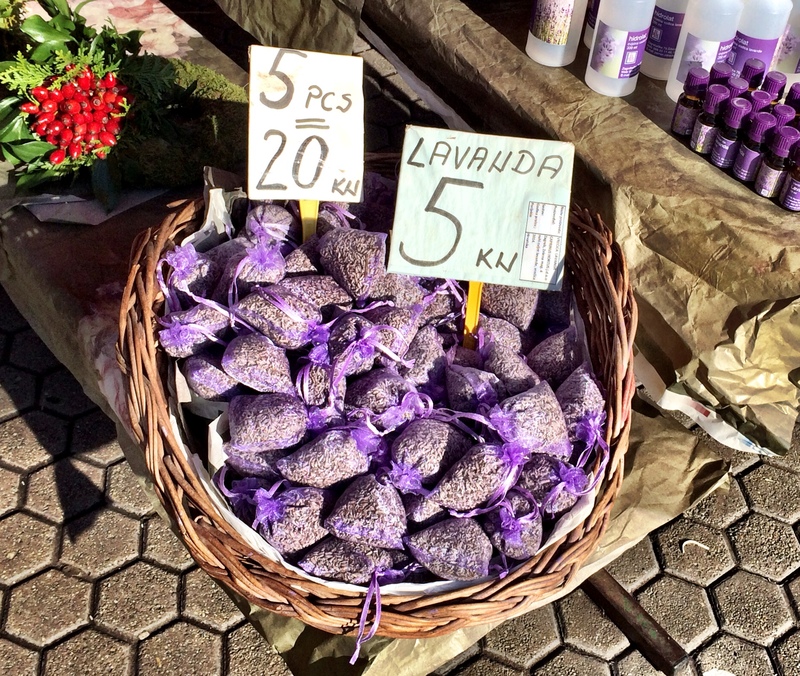 There are over twenty markets in the city now but these remain the most popular. The outdoor section holds tables that are spilling over with mostly organic fresh fruit and vegetables, plus nuts, honey, hunks of meat, dairy products and eggs. All the produce is local and often brought in directly by the farmer. 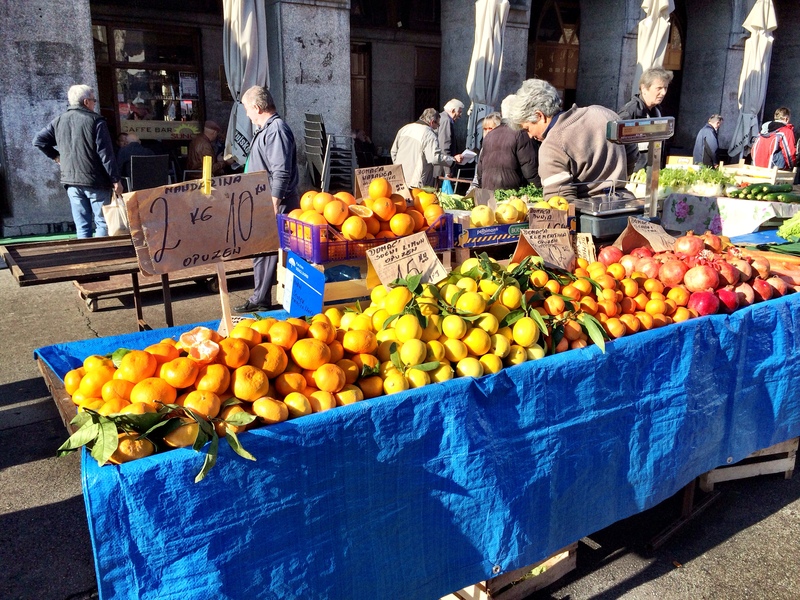 We picked up a bag of mandarins to munch on as we strolled and they were juicy, fresh and full of flavour. Sometimes the produce has come from a little further afield. Look closely at the fruit and veg and you can tell; anything too uniform in colour and shape or out of season has no doubt been flown in. Spot some dirt at the end of that lettuce? That’s a good sign that it’s recently been pulled from the earth and therefore nice and fresh. 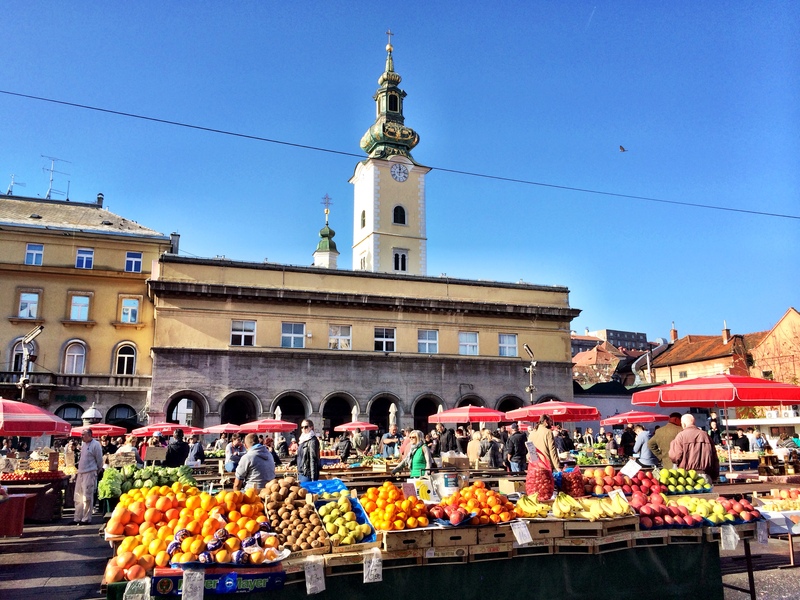 To the side is the fish market where spoils from the Croatian coast are brought in daily. This is some of the best seafood I’ve ever tasted and you’re totally spoilt for choice. The only turn off for me was seeing more than one of the market staff puffing away on a cigarette between taking orders. I did a double take at first, forgetting that in Croatia it’s still perfectly acceptable to smoke wherever you like. Around the stairs leading up to the food market is a quaint little flower market. 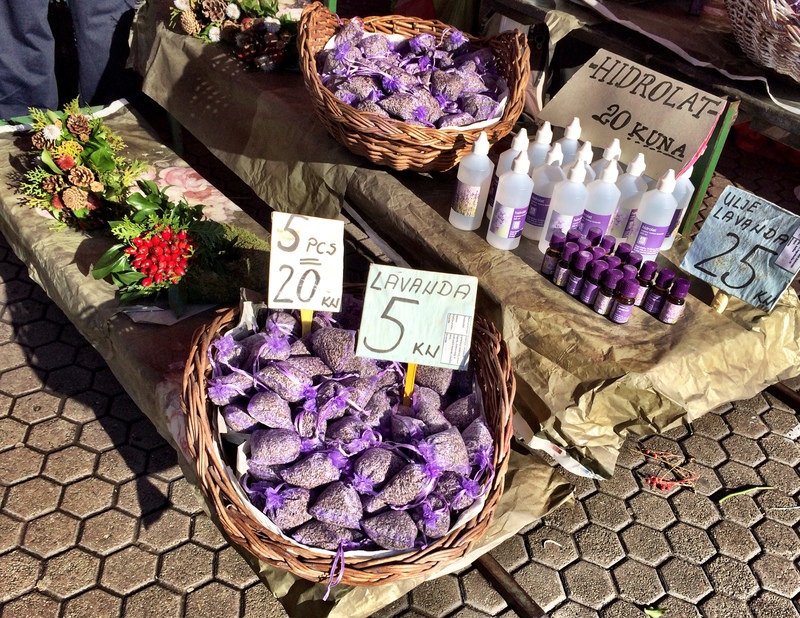 In amongst the bunches of chrysanthemums and roses were piles of lavender related products including lavender oil and loose dried lavender flowers. It’s potent stuff and I still use drops of the oil I bought ten years ago in Split on my pillow when I can’t sleep. 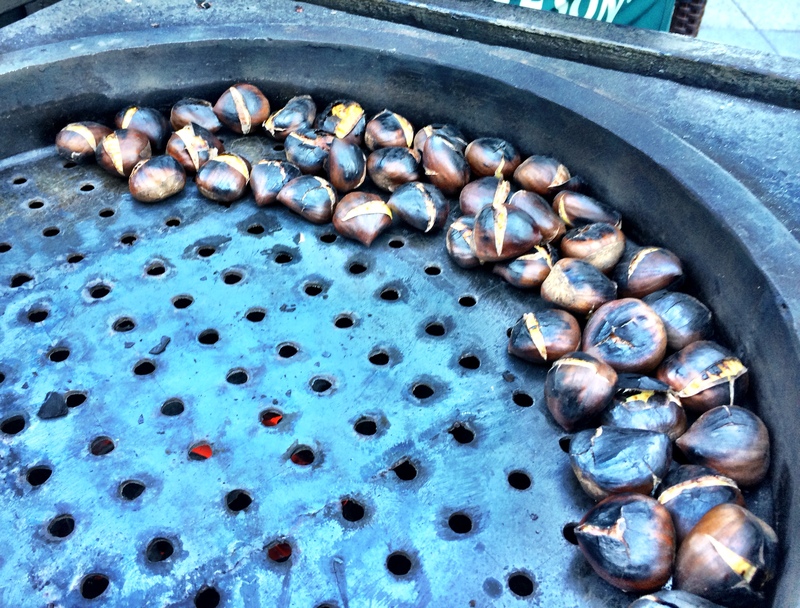 My visit was in late autumn so the temperature had dropped and that classic European street fixture, the roasted chestnut cart, was out in force. 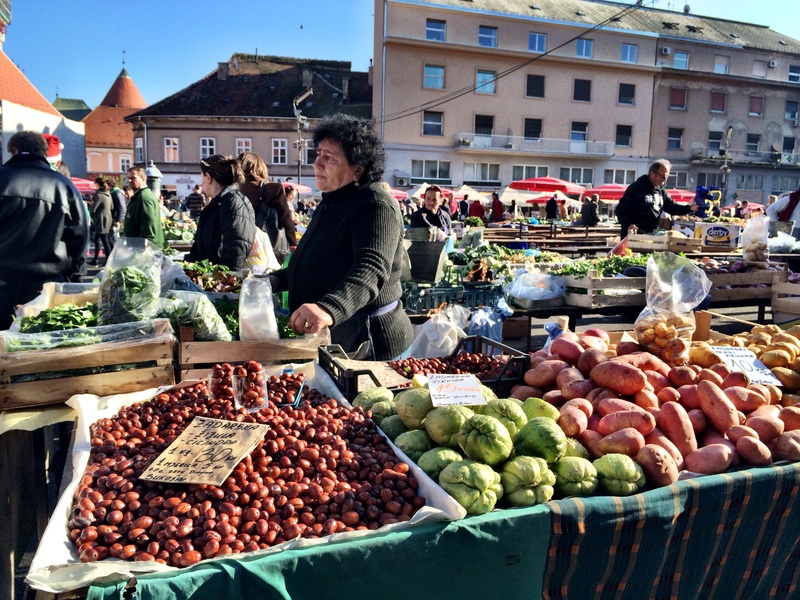 The chestnuts in Zagreb are massive and so delicious, it was hard to stop at a small bag. 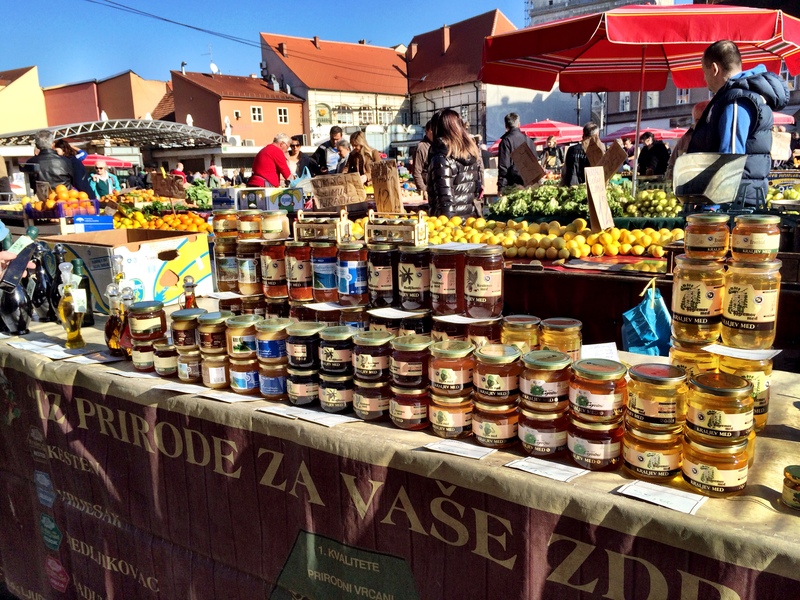 Market tip #1: most definitely visit a food market with an empty stomach as it won’t stay empty for long! I have been there too and it is one of the most colourful markets I’ ve seen. Enjoyed the read. So true, the city has a wonderful food market culture. Again wonderful pictures and a lovely description! Thank you, beautiful markets really speak for themselves!